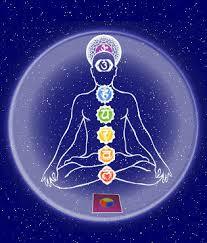 In this article I will share with you everything that you need to know to start meditating. I will guide you step by step through the meditation process, and I can assure you that after you finish reading this post you will know how to meditate. You will have to identify some essential things about you and your daily habits. You have to find yourself a place where you can sit undisturbed so you can perform your Merkaba meditation daily. Remember, you will have to meditate day after day. To obtain the full benefits from meditation, it is important to include the meditation practice in your daily routine, as a habit. Include meditation in your daily program before you drink your coffee or you brush your teeth. Making out of meditation a daily habit will influence you in every aspect. It is also good to meditate at the same hour daily, and not one day at 7 am and the next day at 7 pm. If this is clear for you, now search for a relaxing and quiet place. You need to feel completely relaxed, it doesn’t matter so much the position that you take. You can sit in the lotus position, or simply in a chair, with your back straight and your hands on your knees. It`s important to feel relaxed and conscious. It’s good to meditate early in the morning. Only 10 minutes of meditation are enough, but you need to know when these 10 minutes of meditation will end, you can use a timer or something like this, but the sound of the timer has to be as quite as possible because it doesn’t have to scare you. I recommend using a simple beep sound. You are in a quiet and relaxing place, the position is set, you’re feeling comfortable, the timer is prepared, now start closing your eyes, slowly. Take some deep breaths, inhale through the nose and exhale through the mouth. Observe yourself from a different point of view; visualize yourself from an outside source. Try to feel what’s happening with your body, feel how your skin touches your clothes, feel the palms of your hands on your knees. Observe yourself. Analyze your whole body; start observing all of the annoying and relaxing things around you, just acknowledge them without trying to intervene in any way. Even if you observe the things which are bringing you discomfort, don’t change them. It’s enough to be aware of your feelings. After 20-30 seconds of body awareness, start directing your attention to your mind, to your thoughts. Do the same as with your body, just observe all of your thoughts, positive or negative, and don’t eliminate any of them. After you pass these steps, realize the fact that you are now meditating. Now your mind is in a state of peace, stop analyzing things, enjoy the moments of clarity, enjoy these moments of being there. If you’re not in that peaceful state, think at the fact that you have some minutes for you, exclusively for you. In these 10 minutes nobody needs your help and you don’t need the help of anybody. Think at the fact that you don`t have any worries and these minutes are only for relaxation; this will calm you. And if in these moments, you feel that your mind is trying to return to reality, focus your attention on breathing, but don`t change anything, just observe. Just be there with all of your being and simply enjoy these peaceful moments. Doing all of these things you can really say that you have learned how to meditate. It doesn’t matter what happens now, maybe you feel completely relaxed, maybe some thoughts are walking through your mind; let them be there; enjoy these seconds. The way you leave the meditation state is very important. Before you open your eyes, think about all of the things that you want to do next. For example, if you need to prepare the coffee, think about your way to the workplace and slowly open your eyes. In this manner, you will maintain these meditation feelings, and you will continue the day by making the coffee or another morning habit, still having those good feelings. By ending your merkaba meditation process in this manner, your entire day will change; you will be followed by positive and good thoughts all day long if you’re lucky. It’s beneficial to remember some moments of your meditation during the day, for example, the moments in which you felt relaxed and fulfilled. This will cheer you up. With all of these things being said, you now have all of the important information about how to meditate correctly; the rest is up to you!